Strong family ties and work ethics were key for these young businessmen. I recently spoke with three young entrepreneurs, each born in the Soviet Union. I wanted to discover if these sharp and accomplished young businesspeople shared common threads that could be followed back to their Soviet origins. 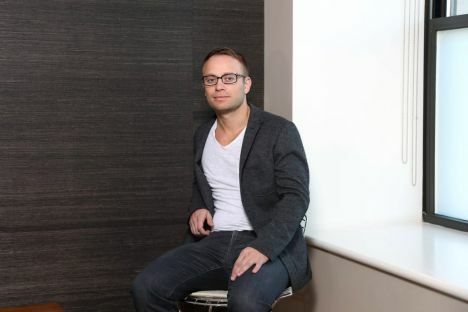 Leon Oks, founder of iCanvas, is 34 years old and was born in Minsk, Belarus. He finds constant inspiration and motivation remembering the obstacles his parents overcame as they built a new life for their family in the United States. “When I think of the challenges and complexities of the move my parents made from the Soviet Union to the United States, I gain greater respect and appreciation for them,” he says. “Coming to the U.S. was traumatizing, but I had the advantage of growing up fast,” Oks continues. Some of his American peers seem “cocooned” to him, without the life experience and multi-cultural perspective that he feels have given him an open mind. “Seeing how my family struggled for every dollar makes me want to give back and take care of them,” he adds. Remembering his family’s challenges affects Leo Friedman’s perspective, too. Aged 32 and born in Nizhny Novgorod, Russia, Friedman is the founder of iPromo. Like Oks, he believes that living in different countries has had a positive impact, giving him multi-cultural problem-solving skills. He also understands the value of money, noting that when he sees a penny in the street, he picks it up, remembering that his family came to the United States with only $1,000. Edward Lichstein, the 29-year-old founder of THMotorsports, doesn’t remember living in the Soviet Union; he was born in Kharkov, Ukraine but emigrated to the United States at the age of just five. Lichstein remembers vividly, though, his parents’ example of hard work. They survived on limited resources and always stuck together, an example that nurtured his attitude toward work and what he considers his strength to compete. “I didn’t succeed because I am Russian, but because of my work ethics,” he says. Each of these young entrepreneurs also demonstrates the power of recognizing opportunities, which really can be found anywhere. What do watching a street artist in New York, selling leftover computer hard disks on eBay, and being obsessed with cars all have in common? Mixed with an entrepreneurial spirit, an immigrant’s survival skills and a lot of hard work, each has formed the core of a successful business. Nine years ago, Oks traveled to New York City to sell T-shirts to fund a vacation. He watched a street artist selling prints on canvas for $400, and his imagination started working. The result was iCanvas, an online store that today offers over 30,000 prints by both historic artists (such as Rembrandt and Van Gogh) and current artists from around the world. The iCanvas store is truly innovative, allowing customers to shop by artist, genre or subject, but also by size, color and canvas design (such as horizontal or vertical, or split into multiple panels). Oks calls the art pieces that iCanvas offers “no-hassle” – ready to hang, with free returns, on canvases with groundbreaking resistance to scratching, water and stretching problems. The company has licensing agreements with over 300 current artists; for some it’s their first opportunity to achieve a worldwide audience, with their work seen by millions within days. The iCanvas corporate culture is also innovative, at the facility in Morton Grove, Illinois where products are assembled. During lunch and after work, employees can be seen playing pool, practicing yoga or meditation, or serving on a “fun committee” (not a committee that’s fun to serve on, but one dedicated to fun). At the age of 17, he had had some computer hard disks left over from building computers for his friends. One day, he listed them on eBay before school. When he got home that afternoon, he saw that he’d made $50 in profit. In the early days of the business, his mother did the accounting, his father packaged products, and Friedman developed different voices for imaginary company employees, transferring calls from himself to himself. Today, iPromo has worked with over 30,000 customers worldwide, providing customized promotional merchandise that goes beyond the norm, including computer power banks and flash drives as well as the more-traditional bags, pens and drinksware. Recent iPromo innovations include a privacy screen for smartphones that provides a clear straight-on view but a dark view from the side, with the customer’s logo highlighted. Friedman explains that the design was successful after 175 failed attempts, and is now a great seller. For Lichstein, meanwhile, valet parking at a country club was his dream job at age 16 (On his first day of work, the first car he had to park was a Lamborghini). The next year, when he was only 17, he founded THMotorsports (originally called True Honda) to combine his passion for vehicles with providing service to likeminded car fanatics. He started with Honda parts because he owned a Honda and knew the make well, but today’s THMotorsports provides performance parts for many makes. For Oks, Friedman and Lichstein, innovation is a key success factor for the growth and differentiation of their companies. Oks has created a culture of innovation with his team in a Google-like environment, knowing that e-commerce is a young world in which it is critical to stay ahead of the curve. Each of these entrepreneurs can look to parents and family as their greatest teachers of strong character, effective leadership skills, work ethics, and having the courage to make sacrifices and take risks. Each had a family that believed in mutual support. “Mom didn’t always understand what I was doing, but she supported me,” comments Friedman. All three keep their focus on core values and goals, without falling into a “Twitter-verse” where that core might be obscured. Lichstein maintains constant attention to the service and expertise that have always been at THMotorsports’ core. Oks speaks about a never-ending learning process and says that one minute of planning can save 10 minutes of execution. Friedman knows his company is successful when people want to work with iPromo because of positive employee referrals. The stories of these young entrepreneurs confirm that creativity working overtime, plus problem-solving skills, strength of character and an international viewpoint – all traceable to their family backgrounds – can result in flourishing business success.